Hi babes! Not posting on Friday threw me all out of whack but I'm back again with Kat Von D's Everlasting Love Lipstick in Mau5! Mau5 is described as a deep raspberry. This is reminds me of Pantone's Radiant Orchid albeit slightly darker and maybe a tid bit more pink but gorgeous nonetheless. The consistency is just like Bachelorette's: smooth, creamy and easy to apply. I didn't even think to try this but after playing with the applicator some more, I noticed if you line your lips with the edge of the applicator and then fill them in using the doe foot flat, it's even easier to apply. This formula is infused with vitamins A, C and E for hydration. This lipstick's finish is liquid to matte. For me, it wasn't super drying like some mattes can be but I've learnt my lesson and always exfoliate and moisturize before using a matte lipstick. Wear time was insane and clocked in at about 6 hours before I noticed major fading. This included eating and drinking. I definitely have to hand it to Miss Von D; she knows how to make a lipstick last! * Currently, they're sold out online. I had better luck going to the store to buy them. I've heard that Kat Von D is relaunching them with new packaging July 24th. FREAKING LOVE THIS LIPSTICK!! It was still on me after I had a big bowl of pho for lunch! I want this color now! This shade is soooo pretty! I need to check this formula out! These shades are beautiful in this line! Love this color on you! I swatched two on my hand yesterday at sephora and even through hand washes they are still faintly there!! These are awesome. I've been able to wear them from breakfast to dinner with only a minor touch up after dinner. That is just the type of shade I would go for! Beautiful shade on you, and I love the look of the tube too! That shade is beautiful on you. That color is just beautiful!!! I've been wanting to try these SO BAD. I love Kat Von D's colorful cosmetics! Big Kat Von D cosmetics fan here, that color is so vibrant! This looks gorgeous on you. And the packaging is stunning. I love these - I only have one and its a mini and I love it. ;) Gorgeous shade on you. WOW! What a vivid shade. Love that she named it after her beau! Oh my, that is stunning! The wear time is great and the color is fabulous!! This shade also looks fabulous on your skin. 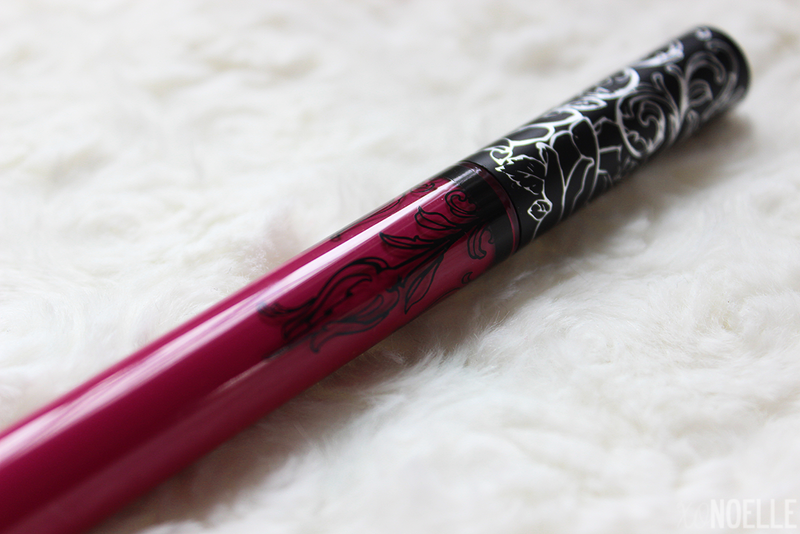 I really need to bust out my Kat Von D lippie and put it to the test ASAP! 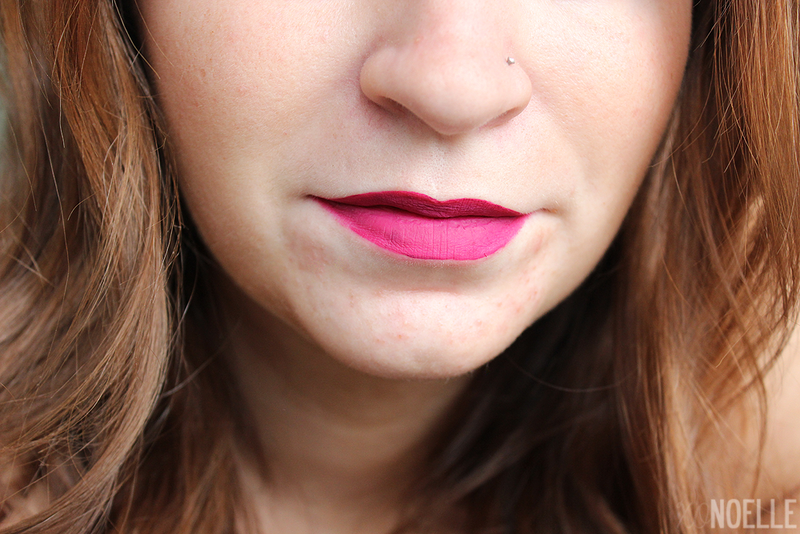 I want bold lips so this lippy is right up my alley! Beautiful!! I need to try more of her makeup, I've only tried an eyeshadow palette! Lovely color, and great tip - I usually line my lips with the lippie itself, whatever it is. I don't use many actual lipliners! I kinda want a little shine with this look, though! lol. This looks so pretty on you! I like lip products that last that long. I think I should try it. This color is so rich! Love the matte finish! I looked for a shade like this all last winter. A raspberry that's bright enough and not too dark. The new packaging must be selling early, because these are all back in stock and this is now Bauhau5 instead of Mau5.